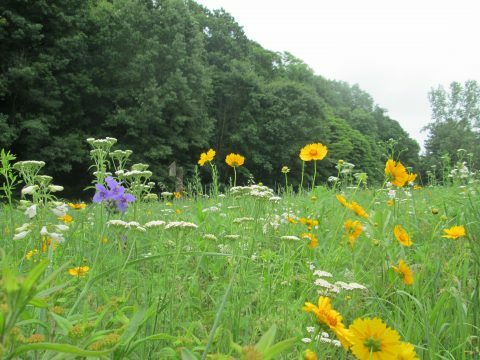 As we transition from spring to summer the prairie is in full glory — and is an example of one of Camp’s most diverse ecosystems. Summer arrived in a flash here at Camp. Recent temperatures have felt a little more like spring, but in mid-May we had a heatwave that made it easy to wonder whether we’d leapt over spring almost entirely and jumped into August. On one of these hot days, following the departure of an Outdoor Education group, I was tasked with checking the cabins to make sure energy conserving measures were in place while the cabins were vacant. Upon opening the door I was practically knocked over with nostalgia. 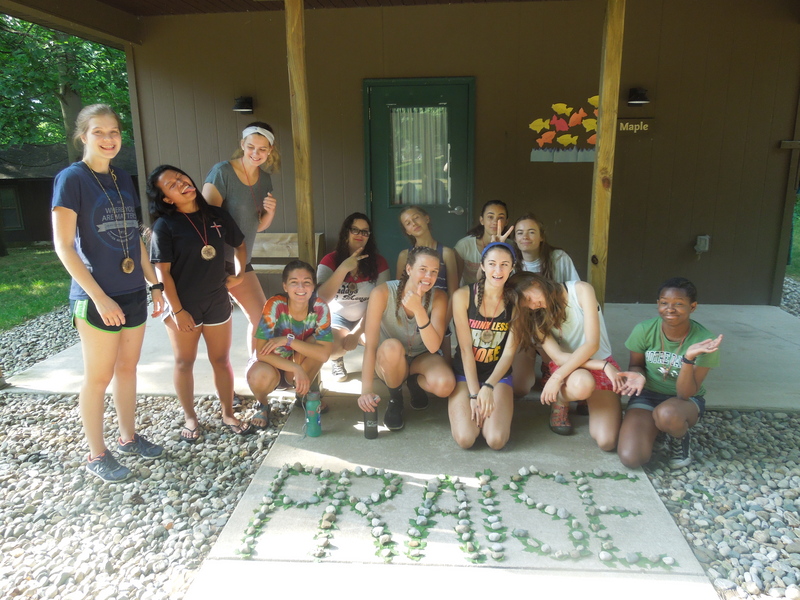 I’d last been in a Camp cabin more than 20 years ago and since then the cabins have been completely rebuilt, yet some component of the room’s smell instantly and fully transported me to my days attending Junior Music Camp. One fleeting, unanticipated moment opened the door to an enormous room of perfectly preserved experiences. Coming together in a place where nature has been given space to thrive enables us to grow in fellowship with each other and with the wider world. 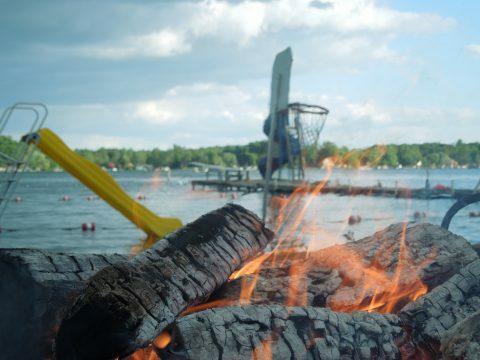 Summer staff arrived this week (look for a blog introducing them soon), and from the conversations we’ve all shared over the past several days, it’s clear that one souvenir many campers take with them from their time here is memories and connections that last for life. What a gift – to play a role in shaping the landscape of someone’s future! Any given encounter may influence the direction of our lives, but intentionally coming together with a group to share unique and purposeful experiences has especially strong potential to create lasting change. 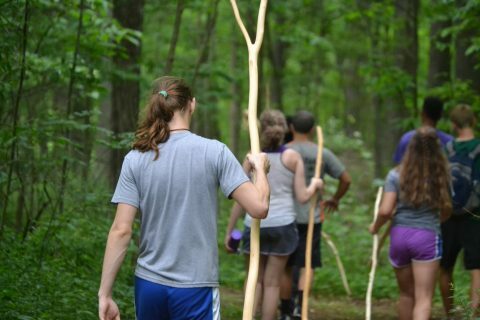 At Camp, we have the opportunity to come together not just with people, but with the surrounding natural world. The moments and circumstances that coalesce to shape our memories are more ocean than road – the vastness of which we often don’t realize until years later, when some tiny thing opens the door to the expanse of where we’ve been. 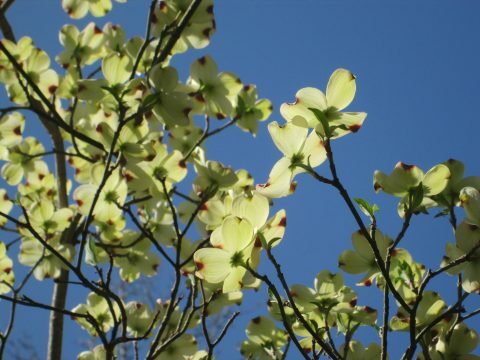 Sunshine and cloudless skies frequently illuminated the dogwood blooms visually, while the wrens made the tree sing. A wren family lives in our house. I learned this when just a few days ago I saw a wren with bumblebee in beak enter a hole in the siding, this entrance followed by a chorus of earnest chirps. I played back through the previous months and realized the wrens had given us other signals: When the dogwood started to bloom outside the front door the wrens claimed it and persistently surrounded the house with their intricate trills and warbles; daily we heard them from close range, as though sitting together at the kitchen counter to share interspecies conversation over coffee. Now, dogwood blooms long gone, the wren vocalizations still fill the air – song throughout the day and chatty alarms when we return from being out. 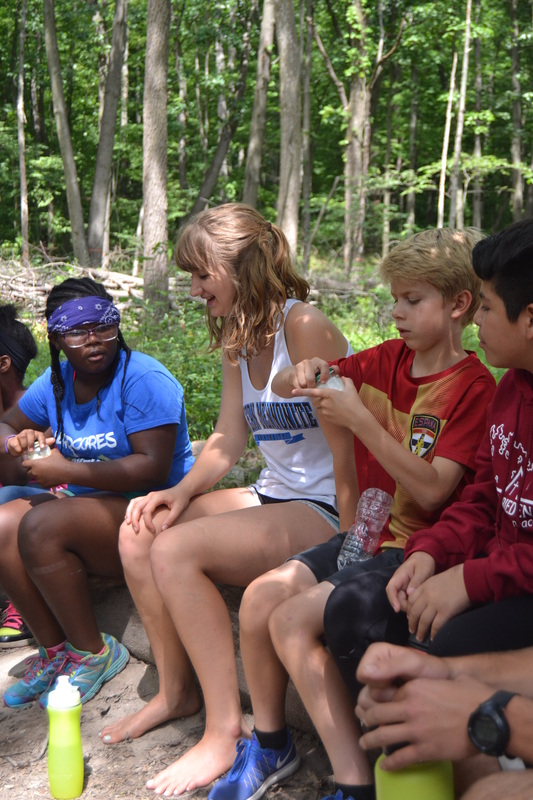 Camp provides an amazing opportunity for people of all ages to explore and engage with our natural surroundings. There are ants that join us for interspecies mingling, too, and stink bugs that magically appear on the cutting board to help with dinner prep. I’ve grown accustomed to watching for Frog and Toad underfoot. Turtles cross roads and lay eggs at property’s edge heedless of danger; squirrels set up housekeeping under the car hood. If we somehow made it through winter and spring under the impression that a driver’s seat position means our actions impact only us, if concern with our own survival and comfort through the cold, dark months limited our peripheral vision … summer swoops us up and plops us down in the middle of so much life that it’s impossible not to notice we’re completely enveloped. I run one damp morning just as the sun is clearing the trees. Single dewdrops crown the tip of every grass blade, each drop holding the whole world in miniature. Mist hangs above a blue-green prairie, and in unmown ditches hundreds of spiderwebs are suspended like pockets between weeds, the webs catching water and sun. These architectures make me pause. Each demonstrates such wondrous holding capacity thanks to a network of practically innumerable parts. 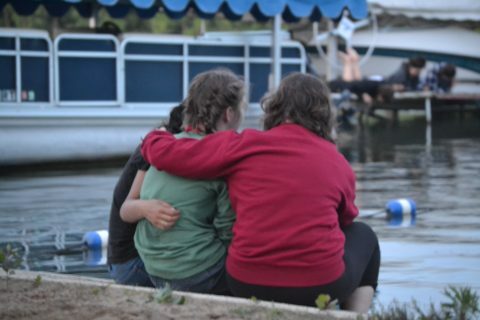 Summer at Camp encourages us to realize the expansiveness of our community. We swim with each other – and with the turtles, swans, mussels, and fish. 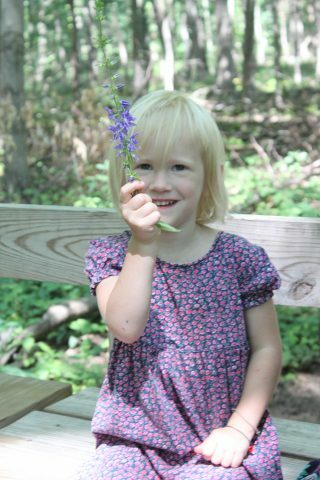 We hike with each other – and with the raccoons, ticks, deer, and birds. We dine with each other – and give thanks for the extensive resources that make each meal possible. We engage in fellowship around the fire, under the stars, or before a setting sun. We listen to the night chorus continue as we part ways, and watch fireflies light up the woods. A campfire on the beach reminds us of connections: between each other, between fire, water, earth, and air, and between all components of an ecosystem. 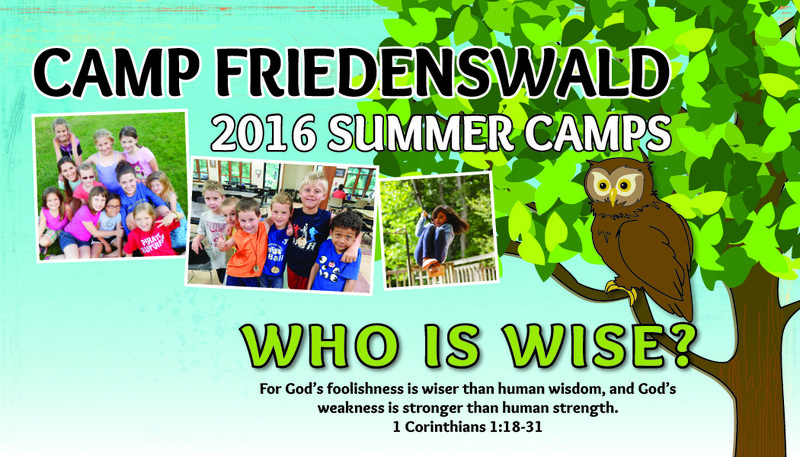 Summer 2016 - Get Excited! 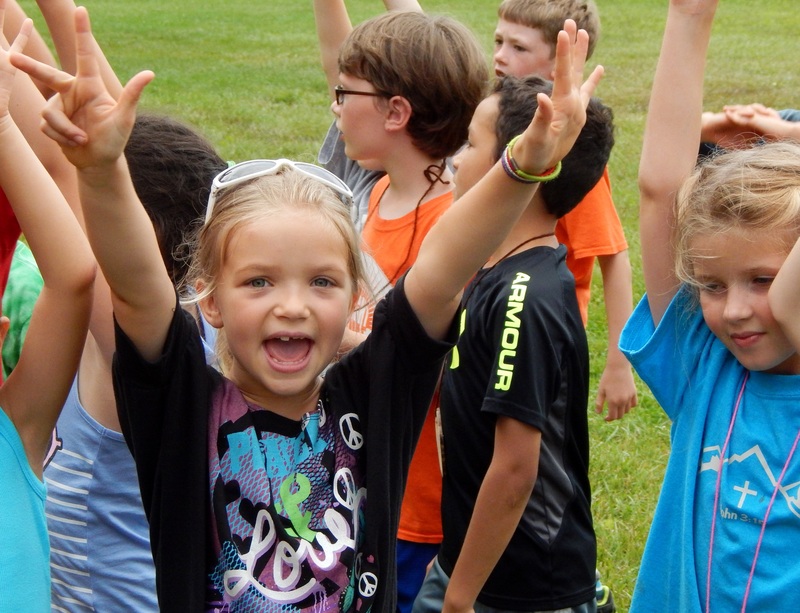 What's in a Week of Summer Camp?